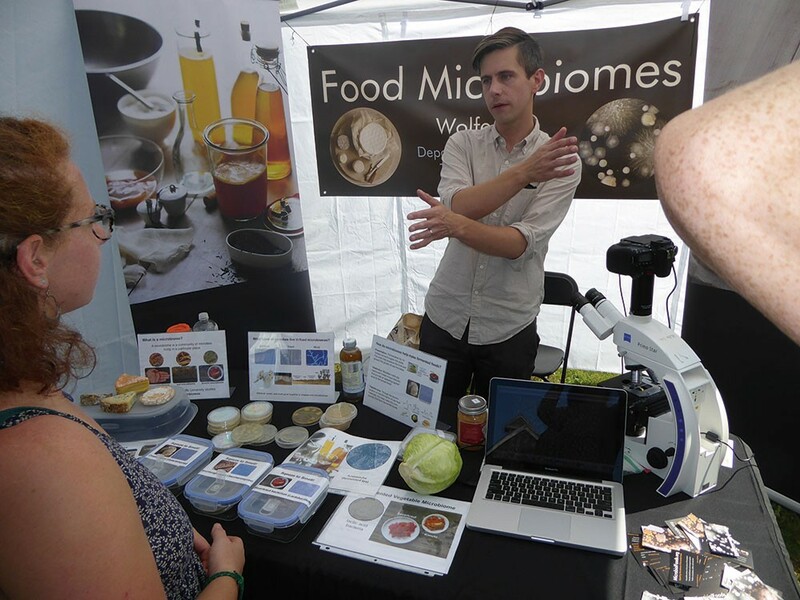 Benjamin Wolfe, a microbiologist at Tufts University, runs the Science Corner at the Berkshire Fermentation Festival in Great Barrington, which takes place September 16. Great Barrington will be bubbling with health at the fourth annual Berkshire Fermentation Festival this month. The gathering was started by Berkshire Ferments—a group of food lovers and fermentation enthusiasts dedicated to preserving and sharing ancient food traditions. 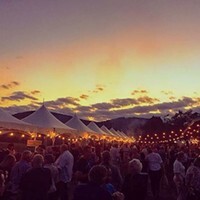 Co-founders Michelle Kaplan, Maddie Elling, and Abe Hunrichs decided to create this festival in the Berkshires due to the high demand for local farming, food sustainability, and traditional food practices. "I have always been a foodie and a lover of the compelling flavors of sour pickles and cheeses since childhood," says Kaplan. "After graduating high school in 2008, I traveled around the country work-trading on various organic farms. That's when I was first introduced to fermentation as a strategy for food preservation and realized it's importance in the big picture. We would have an abundance of cabbage and cucumbers, and you can only make so much coleslaw. Each farm or community I ended up at had a copy of Sandor Katz's book Wild Fermentation on the shelf, and I became totally obsessed with this mysterious, bubbly process," said Kaplan. 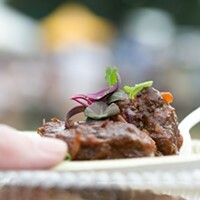 This year's festival will feature a wide selection of fermented products—from sausage, cheese, tempeh, beer, and kombucha to dosa, miso, natto, Pu-erh tea, and pickle ice cream. More than 50 local vendors will be providing samples and selling their products. Some of this year's vendors will include Sweet Birch Herbals, The Hudson Standard, FarmSteady from Brooklyn Brew Shop, Revival Vinegar Works, NYrture Food, and more. There will also be a selection of prepared food items, demos, lectures, a science corner, book signings, hands-on vegetable fermentation for kids, live music, and pop-up theatrical performance art. At the Culture Swap, attendees can share and trade different culture samples like kombucha scobys, kefir grains, sourdough starters, jun, vinegar mothers, and more. "Fermentation is a natural phenomenon that just happens. It can be defined as the desirable, intentional, transformative action of microorganisms. There are so many practical benefits, including its ability to preserve food that would normally perish and to improve digestion and nutrient assimilation. It's the ultimate probiotic," says Kaplan. Author Alana Chernila will lead Yogurt 101—an interactive workshop, covering the science of yogurt and exploring different yogurt-making methods. "Natto: Japan's Fermented Secret Weapon," a workshop to be led by microbiologist and NYrture Food founder Dr. Ann Yonetani, will reveal the science behind fermentation and the health benefits and modern culinary uses of natto, a traditional Japanese fermented soybean superfood. In "Salted and Brined," Amanda Feifer, of Phickle, will lead a workshop discussing various methods to produce different vegetable ferments, such as kraut, pickles, and vegetable kvass. Other events will include a miso-making workshop, "Fermenting in Natural Materials," and a Q&A with fermentation guru Sandor Katz. RockEDU Science Outreach at Rockefeller University, a group which conducts metagenomic research on fermented foods with high school students, will be showing some of their work and conducting hands-on science activities to demonstrate the complexities of microbial communities in fermented foods. The Berkshire Fermentation Festival ($5 suggestion donation) takes place on September 16 at the Great Barrington Fairgrounds from 10am to 4pm.